West’s Drew Cassidy goes into his windup. West’s Garrett Hurd fields a groundball on Tuesday evening. Northwest’s Jacob Goodson fires a pitch to the plate on Tuesday evening. Northwest’s Mason Campbell sees a pitch come in on Tuesday evening. 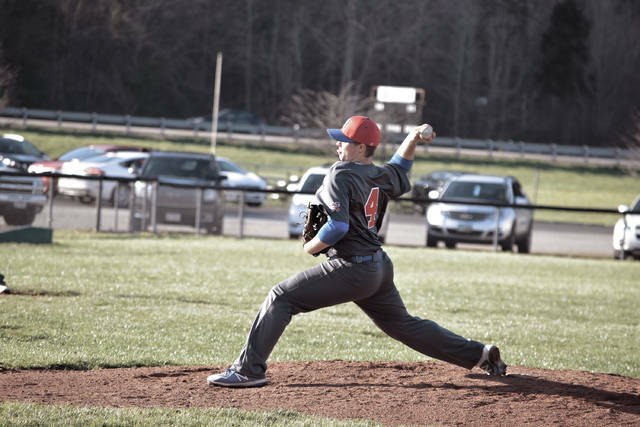 WEST PORTSMOUTH — When the players that take the bump for your respective squads perform at a high level, the result is usually a well-contested baseball contest. 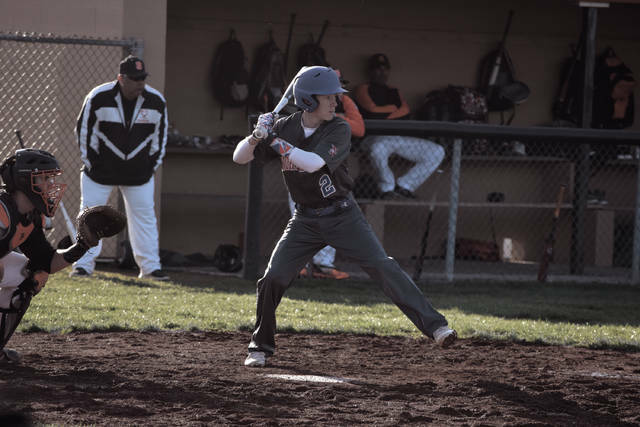 On Tuesday evening, the West Senators’ baseball program and the Northwest Mohawks’ baseball program got those kind of efforts from Drew Cassidy and Jacob Goodson, respectively, as both units fought to a tight margin in an SOC II bout that was played on West’s campus. 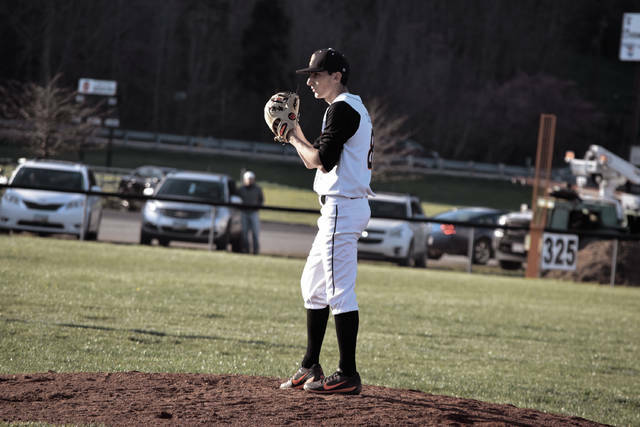 However, in the strong pitching duel, it was two-out hitting that proved to be the difference as a two-RBI double by Dylan Bradford in the third inning and an RBI double by Garrett Hurd in the sixth frame with two outs ultimately allowed the Senators’ baseball program to nab a 4-0 victory over the Mohawks’ baseball program on Tuesday evening in West Portsmouth. For Chris Rapp, the performance from Cassidy — and a West defense that didn’t commit an error over the entire game — certainly was pleasing to see. However, even in defeat, J.M. Storer was pleased with his unit’s attention to detail in the pitching and defensive areas of the game, as well. Cassidy and Goodson, who each threw complete games in the contest for their respective sides, combined to strike out 10 batters while allowing only five hits over the entire game. The former, after allowing a hit to Goodson with two outs in the opening inning of play, didn’t allow another hit until Hunter Berry led off the seventh inning with a single for Northwest en route to finishing with eight strikeouts to four walks for a two-to-one strikeout-to-walk ratio and just two hits given up in 91 pitches. Goodson, meanwhile, put on a strong display of his own, throwing six complete innings in his own right. The co-ace of Northwest’s staff ultimately allowed just three hits on the evening from the hill and only two earned runs to cross the plate in his 96-pitch effort. After both units went scoreless over the first pair of innings, West broke the scoreless tie and took the lead for good in the bottom half of the third as a single by Hurd, a stolen base, and a wild pitch allowed the leadoff hitter to score on Cassidy’s sacrifice fly to left field in the third inning of play. However, West wasn’t done. After Marty Knittel and Cade Powell drew a pair of walks, an infield error on what would’ve been an inning-ending groundball allowed Bradford to drive his two-RBI double to right field, which scored Knittel and Powell, as the Senators obtained three critical runs to add to Cassidy’s strong effort on the mound en route to giving West a 3-0 advantage. In the bottom of the sixth frame, West struck with two-out lightning again. A two-out walk by Kyle Howell, along with a throwing error on a pickoff attempt, allowed Hurd to add the game’s final run with his RBI shot to left field. When informed that Hurd’s hit was the third run scored by West with two outs on the board, Rapp’s happiness, in regards to that point, was certainly evident. Other than West’s frames in the bottom of the third and the sixth, however, both offenses struggled somewhat. For the contest, the Senators were 3-for-21 at the plate with a double, five walks and two sacrifices, while Northwest went 2-for-21 at the dish with four walks. 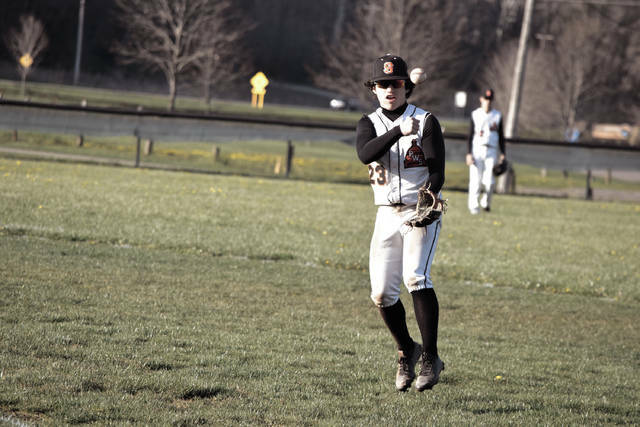 For the contest, the Senators were led offensively by Hurd, who went 2-for-4 with a double, a stolen base, two RBI, and a run scored), while Bradford chipped in by going 1-for-2 with his two-RBI double to right field. Knittel, Powell, Howell, and Cade McNeil each drew a walk, with Powell drawing a pair of walks and each of the former trio scoring once in the victory. Northwest was led by Berry (1-for-2, walk) and Goodson (1-for-3) at the plate. Mason Campbell, Dawson Ruth, and J.D. Snyder each drew a walk to round out the Mohawks’ efforts. Even with Tuesday’s hard-fought game in the books, however, both teams have no time to rest — because they went back at it again on Wednesday.